Do you have any doubts? Don't worry. 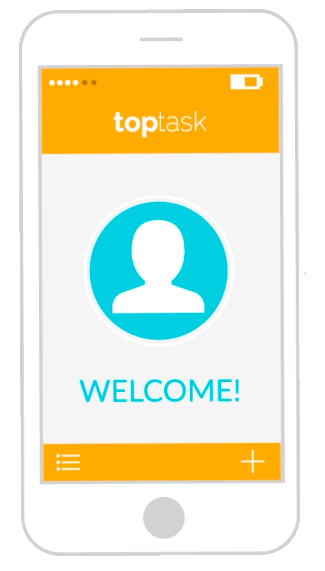 The Toptask Team is here to answer all your questions. Learn everything there is to know about the Toptask platform. Why do I need to pay upfront for tasks? Employers are asked to pay upfront for tasks in order to protect the interests and security of both users. Toptask obtains payment details from the Employer before allowing any exchange of personal data or communication between users in order to prevent unwanted individuals accessing the pool of verified university students on the platform. Allowing private messages to be exchanged prior to payment would leave both parties vulnerable to unwanted interactions. If the task is not completed, you will receive a refund. Once you have posted your task, students will apply for it. It is up to you to select which student to hire. Once you receive your list of candidates you shall see each candidate's profile, including their Personal Statement and an optional Cover Letter. All payments will be processed by Paypal and Braintree. The transaction will be taken from your account once you have accepted a student to hire and is held in escrow whilst the student completes the task. Funds are not released to the student until the task has been confirmed as completed by both parties. Why do I pay a slightly higher fee than what is paid to the students? Toptask charges a service fee. A percentage of this fee is invested into a scholarship program to encourage the underprivileged to access university. What is the admin fee for Toptask? The £2.50 admin fee covers all transaction costs such as PayPal. This ensures that the student receives the full amount that he/she is due. Once you have selected your student to hire, there will be an option to chat with them. This chat feature will be disabled once the task has been completed. How do I know the student is safe? University students are required to disclose any unspent convictions during their University application process. As part of their registration onto Toptask, students are asked to provide a picture of their University ID card to confirm their university attendance. Each student is then interviewed and manually verified by the Toptask team. While Toptask may perform background checking in respect of Students, no warranty or undertaking is given that Toptask will perform such checks. What happens if my student does not turn up? Toptask has a zero tolerance policy for no-shows without notice or low performance from students. Any Student that is guilty of this shall have their accounts suspended. In the event of a no-show, please contact our support centre at hello@toptask.co.uk so we can analyse the cause of the incident and respond accordingly. What happens if my student is late? A chat feature is enabled after booking allowing you to interact directly with the student. If a student’s tardiness inconveniences you, the task can be either cancelled or rescheduled. Email hello@toptask.co.uk and we will gladly assist you. How do I reschedule my task? The chat feature allows you to contact the student and reschedule the task for a time that suits you both. Alternatively, you are able to 'Repost' your task to change its date and time. Please note that this option will take you back to your original list of applicants. Can I change student after booking? You can change students after booking by using the 'Repost' option. If you are not happy with the student you have selected or they are no longer available, you can 'Repost' the task to be taken back to your original list of applicants and select a different candidate or wait to receive new applications. The 'Repost' option will also allow you to change the date / time of your task if needed. Can I cancel / delete a task? You have the option to cancel your task at any point prior to a booking. Once you have proceeded to booking, you can cancel a task up to 2 hours before the start-time. Alternatively, you can email hello@toptask.co.uk if you would like our team to assist with the cancellation of a task. Can I edit my task once it has been posted? You cannot edit a task before booking. The task must be posted again with the necessary amendments. After booking, you can use the 'Repost' feature to change the date and time of the task. Please note that this option is available up to one hour before the task's start-time and will take you back to your original list of applicants for a new student selection. If you don't want to change students, you can use the chat feature to speak to your student directly about any modifications to the task. Can I hire a student for that same day? You may create a task for the same day, as long as it is 3 hours before the start of the assigned task. However, we encourage all Employers to give students as much notice as possible when posting tasks in order to increase their chances of receiving suitable applicants in time. For more information on our process, please click here. How do I leave a review for the App?  We invite you to leave a review for the App on the App Store / Google Play. You can also leave us a review on Trustpilot. Can I rate my student? Yes. Both you and the Student will rate each other at the end of the assigned task. What happens if the task takes longer than the assigned time? You would need to discuss this directly with your student. Any additional payments can be arranged privately or by posting a new task on the platform for the remaining time spent. What if I am not happy with the service provided by the student? All registered students are encouraged to act diligently and proficiently when carrying out their tasks. However, students are not employees of S2DNT UK Ltd. You will be engaging them as independent private contractors. This means that S2DNT UK Ltd. shall have no liability or responsibility for the quality of a student’s work and will not be a party to any contract for services that you may enter into with them. How much do I get paid for each task? You are paid a minimum of £10/hr if you are booked for a Category A task, a minimum of £14/hr for a Category B task and a minimum of £20/hr for a Category C task. Alternatively, Employers may enter a fixed rate with the total amount they are willing to pay for the completion of the task. Payments for tasks are processed every Monday via bank transfer. Students are asked to submit their sort code and account number upon the completion of their first task. Please bear it mind that it can take up to 48 hours for the funds to appear in your account. How do I get hired for a task? Once you have applied for a task, the employer will choose which student to hire and proceed to payment. What happens if I am late for my task? Please note that we expect all students to maintain a high level of punctuality when completing tasks. However, if you are running late, make sure to inform the employer directly through the enabled chat feature. What happens if I do not turn up to my task? If for some reason you cannot turn up to your assigned task, contact the employer directly through the enabled chat feature in order to reschedule to a time that suits you both. We have a zero tolerance policy for students that do not show-up without giving the employer prior notice. If you do not contact the employer at least 3 hours prior to the assigned task, your account will be suspended. What happens if I arrive at the assigned location and the employer is not there? First try to get hold of the employer through the enabled chat feature. If he/she does not reply, please contact our support centre at hello@toptask.co.uk to report the problem and we will respond accordingly. What if I have concerns about how the employer has behaved? If you have any concerns about any aspects of an employer's behaviour, whether in person or on the chat feature, please contact our support centre on hello@toptask.co.uk as soon as possible and we will be able to provide support and advise on appropriate action. Can I rate my employer? Yes. Both you and the employer will rate each other at the end of the assigned task. Do I get rated by my employer? Yes. Both you and the employer will rate each other at the end of the assigned task. Your rating will be seen on your profile by future employers. How can I make sure that I get hired for tasks? The Employer chooses the Student to hire. In order to increase your chances of being selected for tasks, make sure to perform all your tasks diligently and punctually in order to receive high ratings from Employers. We also strongly encourage you to fill in your personal statement with your past work experience and/or academic credentials, as well as to submit a suitable Cover Letter with each task application. Why does the employer pay a higher fee than what is paid to me? Employers are charged a service fee. A percentage of this fee is invested into a scholarship program to encourage the underprivileged to access university. Yes.  Press the drop down menu button on the top right hand corner of your screen. Choose 'edit profile'. Why can I see different available tasks to a friend on the App? You will only be shown tasks that match your selected skills. If the task is taking longer than the assigned time, make sure to communicate this to your Employer before going over the assigned timeframe. If they are happy for you to continue, you can either arrange additional payment privately or ask them to post a new on the app for the remaining time spent.